« Little Jimmy Acosta is Upset – SO WHAT! And suddenly the media loves John McCain. Remember when he was a racist old white guy running against the first black would-be president? Now that President Trump called McCain out for launching the whole FBI investigation based on Hillary’s falsified dossier, McCain is a liberal media darling. And now, Trump has unleashed a Gatling gun of Tweets. 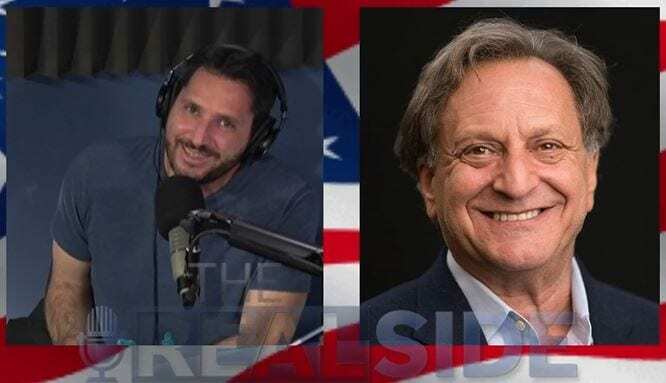 Guest host tonite, Dave Sussman from WhiskeyPolitics with Dave Sussman and special guest Evan Sayet talking culture, pro-life, pro-choice and more! You cannot be pro-choice if you are not pro-knowledge. But the Left wants to deny us knowledge. They are NOT pro-choice. Leftists took over education (indoctrination), media (propaganda), and legislation. 60’s radicals became the 90’s leaders and legislators. Now they’ve trained up an army of indoctrinated socialists and we’re seeing the fruits of that. Liberals own every means of communication except one… interpersonal. Every generation has had to go to war to battle some force of evil. This is ours. Nationalism v. Socialism are the 2 ideologies at war right now. Jews gave us the concept of justice. An eye for an eye is not about vengeance, it’s the concept that the punishment would not exceed the crime.